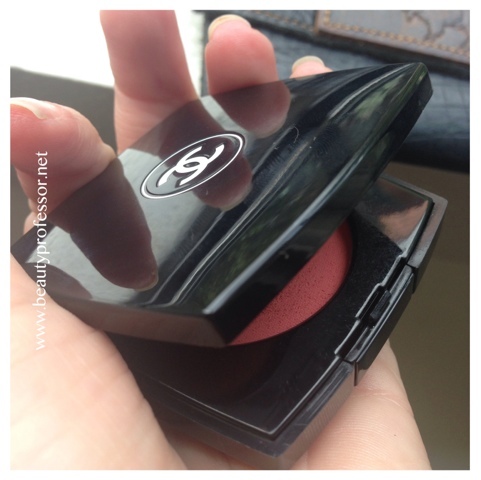 My love for the Le Blush Creme de Chanel formula is no secret (my extensive review of three shades from the Fall 2013 collection, including a bevy of swatches can be found HERE). Although I've actually hit pan with Inspiration (which is a testament to how much I adore this baby pink wonder), I haven't used the delightfully peachy-pink Revelation quite as frequently. In turn, I was inspired to experiment with it while on vacation recently and applied it not only to the apples of my cheeks (over a round of contouring courtesy of Tom Ford Shade and Illuminate in Intensity #01), but also on my lips for a monochromatic peachy-pink effect. When swept over a layer of lip balm (in this case, Rouge Bunny Rouge Shimmering Luxe Balm in Sip of Pink...one of my favorites), the creme blush takes on a lush new life, adding opaque coverage that lasts for hours. Revelation is richly pigmented to add a glowing flush but still pale enough to keep the look clean and neutral. 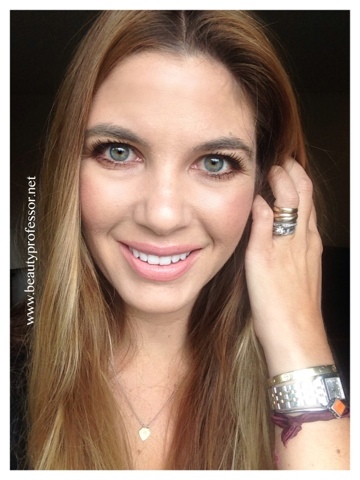 After my little lip/cheek experiment, I am confident that I will be reaching for this shade more often! Kindly scroll on for product images and pictures of Revelation on my lips and cheeks! Above: Revelation is a buildable and shimmerless peachy pink with neutral undertones. Complete swatches HERE! Above: The creamy texture dries down to a semi-matte finish, but still yields a remarkable amount of glowiness. 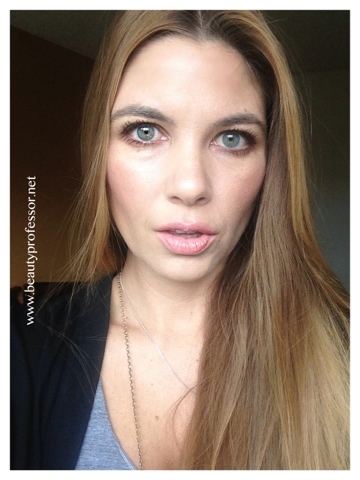 Above: Revelation on the cheeks and lips in natural daylight. 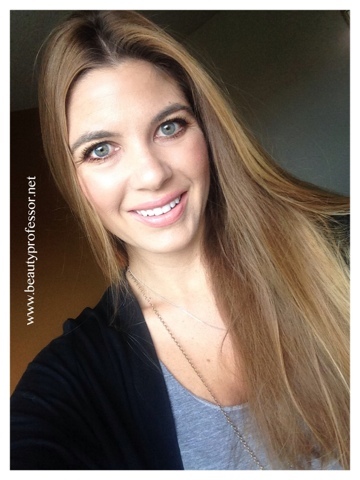 Above: Using Revelation on both the cheeks and lips saves time and guarantees color harmony! Above: Revelation on the lips reminds me a great deal of Beauty Is Life Lip Color in Cosmopolitan. Above: I took this a four hours after first applying...note the lasting power and glowiness! 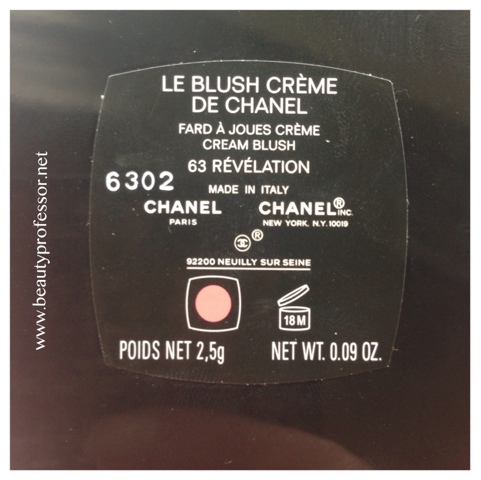 Bottom Line: Le Blush Creme de Chanel is a dream formula for normal to combination skin! Its semi-matte finish, lack of shimmer, longevity and gentle glow cannot be beat and the fact that it can also be worn on the lips exponentially increases its value. The peachy-pink goodness of Revelation compliments a variety of skin tones...highly recommended! Have YOU tried any of the Le Blush Creme de Chanel shades? Thoughts? Fantastic...so glad this is finally landing in your side of the world!! I can't wait to hear which shade(s) you choose! hi rachel! i've been enjoying all of your recent posts especially your interview with napoleon perdis and your effortless makeup look when you were traveling. 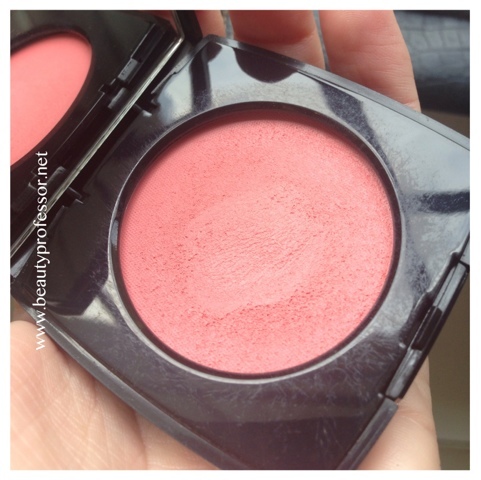 i've been "eyeing" chanel's new blushes and i do have the elf brush that you recommended. i just bought chanel's in love powder blush right before the fall collection came out. in love is what the model is wearing in chanel's summer collection video. chanel is suppose to come out with a neutral eye quad in the next few weeks called seduction. 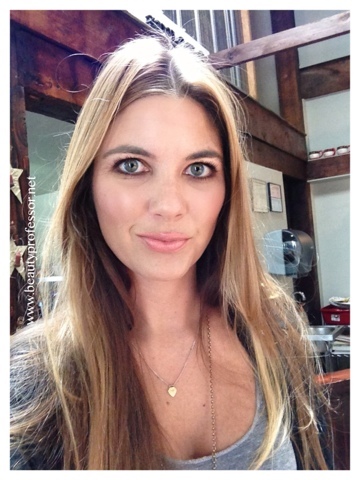 i'm hoping that will work for me and then i'll purchase the creme blushes for my fall makeup. people think i have alot of makeup but, since i wear it everyday, i usually "hit pan" before i purchase more. i'm also looking ahead to their holiday collection where the creme blushes should compliment a new joues contraste blush that will be introduced. they're mostly sold out but, i found 2 stylo eyeshadow "sticks" in moon river from chanel's summer collection. have you tried them? i think you'd really like moon river. i've been having some difficulty tracking down bronze moon. i noticed by terry's fall collection will include a few new shades. did you see them? i'm also trying not to purchase any new makeup, if i'm able till september, that's when i should see a new armani counter! i'm also looking at chantecaille, and bobbi brown's "chocolate" collection. i also would like to see what rouge bunny rouge will present. friday is our "farewell to summer" party for my students that will soon be off to first grade. it's getting to be that busy time of the year!! happy thursday night to you rachel!!! xoxo to you!! Good to hear from you. I am so glad you've been enjoying my recent posts...there has been so many things to write about that I feel like I can barely keep up with it all ; ) More product reviews coming soon! Congrats on the Chanel In Love blush...such a beautiful shade; also, well done on finding Moon River...it's been sold out for months at all of the Chanel counters near me. All the fall makeup releases can be overwhelming...after some of my latest acquisitions (I did a little damage at the new Marc Jacobs display at Sephora yesterday! ), I think I'll take a makeup buying break for a bit! I haven't seen the new shades for By Terry yet, but I am sure they are just around the corner ; ) You will love the Armani counter...I remember when they put one in a my Nordstrom and Bloomie"s years ago and I was over the moon, indeed! I hope your "farewell to summer" party goes well tomorrow...I am finally home from my trip and up to my ears in emails and laundry!! Two weeks more, and then back to the classroom I go! I have Destiny, Inspiration (wear it almost every day thanks to you), Revelation and most recently Presage which is surprisingly wearable. I can't wait to try them on my lips now!!! So glad to hear that you still love these shades, dear Shoshana...thanks for the update!! Presage is definitely a popular shade as well...this formula is so versatile! I adore the formula! I picked up only Affinite but now you make me want to have this shade too. It's pretty on you. Oh my...by the time you read this, you might have already picked up some items from the collection. Can't wait to hear your thoughts on everything. Thank you so much for mentioning my channel...I've been traveling and my Internet has been spotty so I haven't been on YouTube lately, but I noticed that I was getting an influx of subscribers. I just watched the video and loved it!